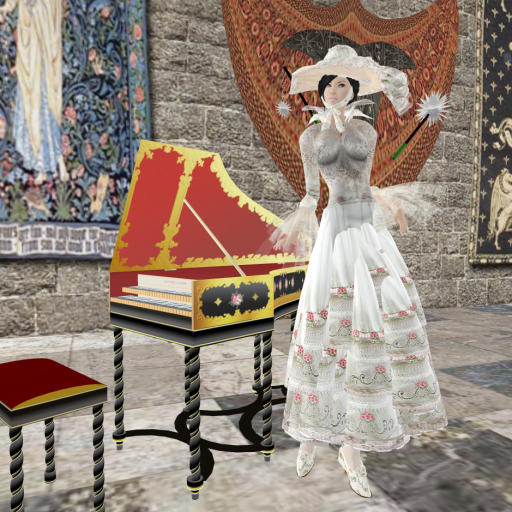 Recently, there seems to be many new couture designers which I welcome with open arms as they really enrich the depth and fun of fashion in Second Life. One of such designers is Karija Azalee of Gasqhe, which has a line of couture designs that center around gray scale colours. Her outfits in general have very interesting silhouettes and shapes and because they are relatively simple and mostly in gray scale colours, they tend to be fun items to mix and match with other brands or worn alone to create very simple but sophisticated looks. Here, I am wearing “Jeynne” which is a cream coloured mini dress and matched it with a cute pair of leggings from Mischief Fashion. I also used a hat from glow Studio instead of a flower hair accessory in the same matching cream colour that came with the outfit, creating a smokey toned look that is both playful and elegant. As an accent to the entire look, I wore the “I’m Your Present Ring” also from glow Studio which was a free gift that I absolutely loved. The bright red of the ring broke the entire smokey tone adding some interest to an otherwise very soft look that tended to lack in impact. The links given to Yomeshoujo seems to have been wrong. I don’t know why this happened but the coordinates changed on its own after I copy and pasted it. This has now been fixed so the links should take you to the store. I apologize for the inconvenienced caused. 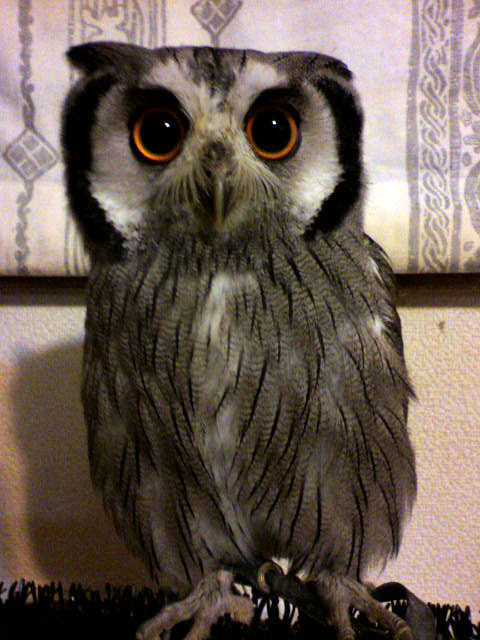 OK…so this is my second post on Yomeshoujo. In the first post which I posted a few days ago, I showed one outfit that was a very creative mini dress that uses a very fun and interesting texture. The second post is another very colourful dress that can be worn in several different styles. This outfit is called TPCL by Yomeshoujo. It comes with three different types of prim skirts and a chest prim part that you can use selectively to style it differently. I used the cute nails and earrings from Candy Nails again but this time with the “secret colour” nails and green earrings you can get from the gacha machine (please read my previous post for details about the gacha machines). I also added a bright pair of stockings and shoes to bring out the fun of colours in this look. 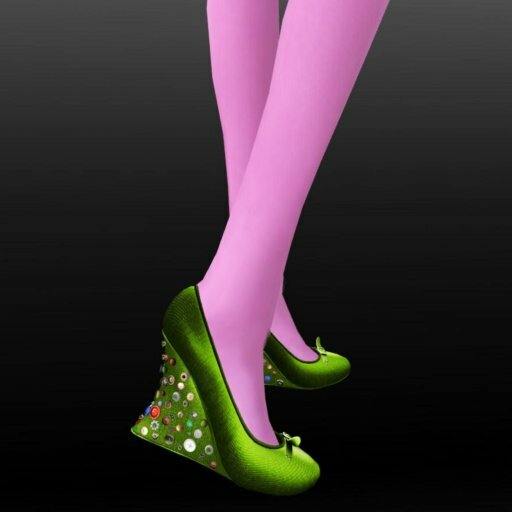 The shoes are a recent release from Baiastice that comes in really fun colours and the buttons that are attached to the heel part really make this a cute pair to style with outfits like this one. The stockings I wore was a Christmas gift from Styles of edo that I got last Christmas so unfortunately these are not available now but I am sure you can find similar funky coloured stockings or tights if you want to create a similar look. *This was a 6 colour set of stockings that were given as Christmas gifts last year and therefore not on sale. Vintage designs have its own place in fashion. They used to be the leading the trends of the times be it the 20’s, 30’s or 50’s but now, since they fall out of the “current trend” they have become “timeless.” In other words, they have won their own place in fashion. I have a love for timeless fashion. Especially when it comes to elegance, the haute couture fashion in the old days had a touch of elegance that, in my mind, no other fashion can even try to compete. So naturally, I have a huge inventory of vintage fashion and wear them from time to time. Sonatta Morales is one of the stores I love dearly and it’s one of the stores I pay regular visits to whenever I have a craving for retail therapy. In other words, even when I am not on a mission to find particular items for a certain styling project I have, I would just drop by to satisfy my craving. Today I wore “Arabesque”, a lovely delicate outfit using lots of lace. Hats are also a must item for vintage fashion and the outfit sets that have hats included also serve as my source of hat collection. I often use only the hats to match with other outfits when I want that vintage feel to the look. The jewelry I wore here is the “Cupid Set” from R.A.Crystal, a Japanese jewelry store with Rama Anatime as the creator. What I like about Rama’s collection is that she always includes two sets of the same necklace with one attaching to the spine and another attaching to the chest. I often have to reattach necklaces if they interfere with other outfit parts but it saves a lot of time with her sets because I can just select the one that doesn’t interfere. It’s a little thought that goes a long way. This eventful month, however, have made me renew my awareness for keeping our looks low ARC (Avatar Rendering Cost) when going to events not just for the show participants but also for our own good as we all want lag to be kept as low as we all can. Of course, there is always the discussion about whether ARC is the sole factor responsible to keep lag low. No, it’s not. There is also the factor of scripts involved but that does not mean, we can go to shows and events with ARCs ranging in the reds. ARC also plays its part so let’s keep our ARC low! My rule of thumb is under 1,000 ARC if possible. And if I want to be really fashionable and still in the ok range, I would say below 1,500 ARC. I’ll write how to see ARC numbers at the end for those you don’t know how to check but for now, let’s keep the discussion on the subject of how we can wear fur and still have relatively low ARC. As most fashionistas are aware of, fur is known to be a no-no-item that shoots up your ARC numbers, sometimes in the range of 10,000 and over depending on what you wear. Recently, however, some clever creators are starting to create fur items that look gorgeous, glam and still keep to a low ARC number. So today, I would like to introduce one that does just that! I have today, two fur bolero jackets that not only look warm and stylish for winter season parties or events, but are also very versatile. It comes in black and white and the design allows you to wear them with casual, semi-casual as well as formal outfits. And what’s even more wonderful is that they are only +1,088 ARC! This means, if you style smart, it is actually possible to keep your ARC numbers below 1,500 in total and still enjoy a look using fur! Now isn’t that a great news? The fur boleros are from Gabriel, which is a store by a Japanese designer, Takuya Jinn. He is relatively new but has some great outfits that use sculpt prims in very clever ways and this fur bolero is certain one of his clever creations. Here, I have worn the black version with a skirt + down jacket set, replacing the down jacket with the bolero to give it a little less casual look. Then I used the white one to make a more smart casual or city casual look, which ever way you wish to call it. Both of these bolero jackets can easily be used in formal looks by wearing them over a formal gown so here I chose to show two casual looks, one a bit more semi-formal than the other. The first look is casual and I took the skirt from a set that comes with a down vest with matching texture. The necklace I am wearing here comes included in the fur bolero jacket which is a nice piece to be worn alone too. The earrings I used here are from another Japanese designer, Emi Woller and her store called PISA. She includes a large and a small size in the set, so here I wore the smaller version. Again, without resize scripts, these earrings also contribute to keep lag low while we can choose whether we want to wear these bigger too if we wanted to. The second look I made is a bit less casual. Some people might call this smart casual or city casual and it’s something I might wear to go to an art exhibition or a nice get together where I don’t want to be over-dressed but still be seen dress nicely. Here, I wore the shirt and underpants layers of a one-piece mini dress from ce cubic effect and used it as a shirt and replaced the necklace that’s part of the fur bolero set to something that looks a bit more formal. 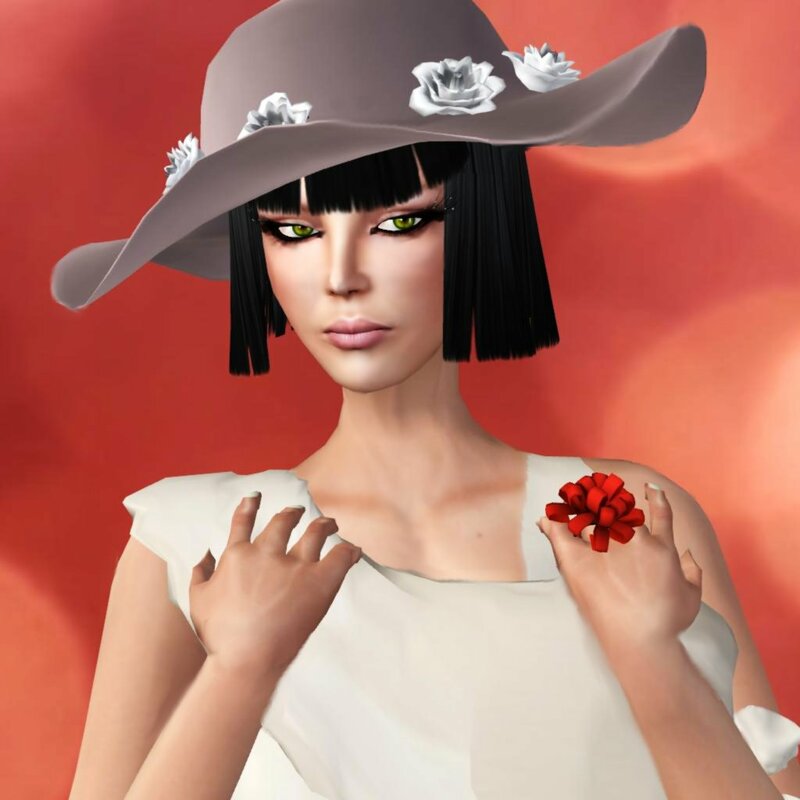 The jewelry pieces you see here are from J and W jewelers which is a relatively new store that my fellow model Wenadrenia Soderstrom has started with her RL and SL hubby, Jens Marksman. This store is quickly gaining popularity with their bold but also elegant designs. And lastly, as I promised this is how you can see ARC numbers for those that do not know how. Go to your Advanced menu* on the top bar of your SL viewer and click through Rendering > Info Displays > Avatar Rending Cost and you will see numbers above avatars. If the numbers are in green, it means the number is low ARC. Mid range will be shown in orange and high range will be shown in red. So turn this info display on when changing to make sure you are within reasonable range before going to events! *If you do not see an “Advanced” menu next to “Help”, then hit “ctrl + alt + D” and it will show up. Posted by Kay Fairey, Agency Director and Top model for Boulevard Agency, Team edo Director and writer for the Best of SL Magazine. On October 23, I posted about a cute dress created by Boston Westland of Atelier La Bubu. Boston, in fact, had another brand called C&W Design that he runs together with his friend. 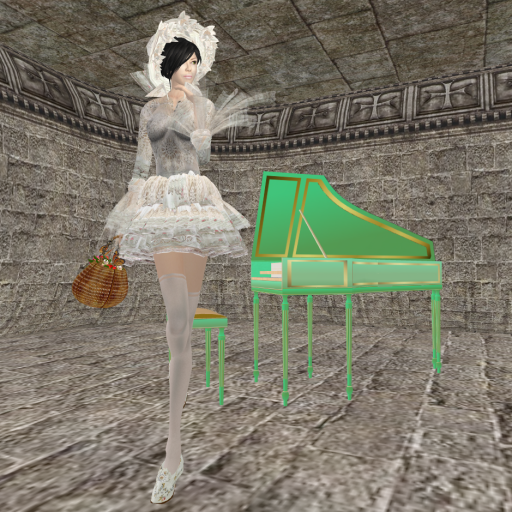 I must say it was a little confusing as you can purchase the same outfits in both stores but I liked his designs so much that I decided to blog about another lovely creation by Boston. Although the design itself is completely different from the Londonize Memore Dress I posted about on the 23rd, what remains the same is his uptown, elegant image without making it a formal wear or a party wear. I love styling day wear clothes as there is so much you can play with and Boston’s outfits give me that fun as they are elegant but not overly styled leaving me very little areas to play with. For this Andrea Dress, the lovely blue of the dress was something I wanted to play on and I was lucky to find a perfect hat for this! The Lizette hat in blue matched this dress so well that it looked as if it was part of the design! It wasn’t just the colour too. The design of the hat matched the elegant uptown impression the Andrea Dress had so perfectly that I was smiling the whole day. The ruffles around the neck opening for this dress was not prim parts but it was actually drawn on the dress. This allowed me to add a white rose to play up on the clean blue and white coordination of this look. 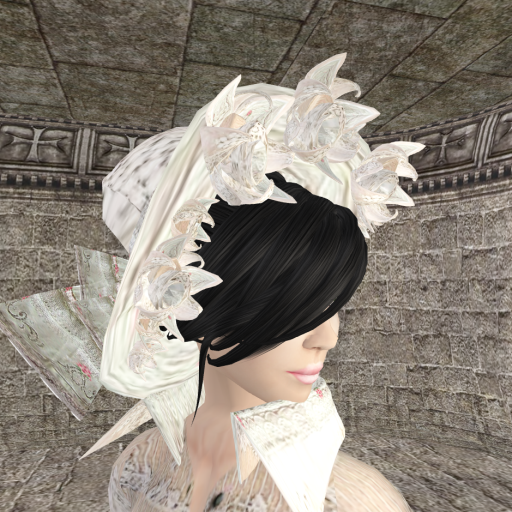 This rose is a head ornament I found in Illusions that came in all sorts of colours. So what I did was, made a copy of the white rose, attached it to my chest and adjusted the position in edit so that it will sit in the center of the ruffle almost like a broche. Since it was modifiable, I also turned full bright on to make it look more white. Sascha’s Designs’ new release, “Cafe Latte” was a chic cocktail dress with a delicate shawl that covers the shoulders and a delicate skirt. The colour is one I like very much. A soft brown that is both elegant and chic. But what really set this dress apart and made it very stylish was the sunglasses that was included in the set. I used to work for a French boss who was a fashion guru and a celebrity figure in my country. She used to work for Dior and never betrayed our expectation to see the latest fashion on her. I used to look forward to seeing what she would come wearing every morning and see how she styled even a simple dress most exquisitely. I feel I learned so much about styling just watching her every day. The reason why I brought her up was because these sunglasses reminded me of her. She always wore these very dark sunglasses and the moment I wore the one in this “Cafe Latte” set, the vision of her came to my mind in a flash. So I set off to style myself to resemble her and even found hair that was exactly like the hair she used to have in real life. She always had the most fashionable shoes and bags that were never used two days in a row. She changed her bag, jewelry, everything everyday to match her outfit that were chosen with the utmost care. She would match the most amazing colours together and achieve a fabulous look. So I thought what she would match with this delicate brown. I knew she wouldn’t match usual colours such as gold or any tone of brown or yellow. She would match colours that surprised people and yet impressed them with her choice. So I chose a purple that was more like a plum colour for my shoes and bag. Not bad. Not bad at all. 🙂 But I still wonder what she would have chosen if this was her. 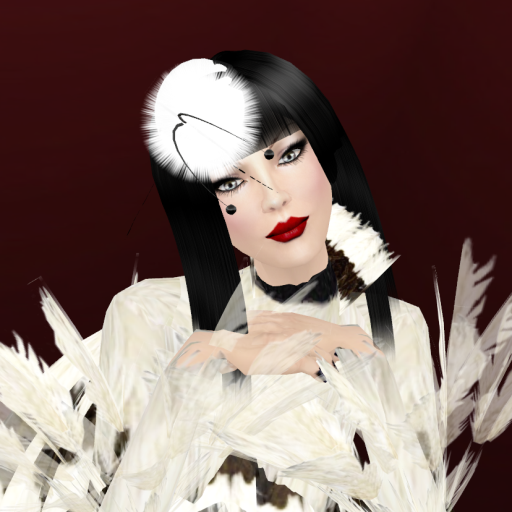 Written and modeled by Kay Fairey, CEO & Top Model for Evane Model Agency, Modavia Super Model, Top Model of Boulevard Agency, Team edo Director and writer for the Best of SL Magazine. OK, I know it’s still hot in many parts of the world, and even it places where they have winter, it’s not THAT cold yet. But my mind is starting to think jackets, coats, boots….all the fun fashion items that are good for winter (yes, yes, I know we don’t really feel any chill or heat for that matter…). That was my mind set when I spotted this new short coat from Baiastice. It wasn’t a new release, but being a serious shopaholic, any new item in my inventory is an excitement for me. It’s particularly exciting when the item looks interesting…..by interest, I mean unusual shape, unusual colour, anything that has a unique feature to it. This short coat from Baiastice was exactly that. Interesting shape, interesting texture, my fav colours. So how could I resist? Here I pictured myself going to a nice party on a chilly day. Not VERY cold, but cold enough to wear something as a coat but still look stylish even when I was wearing my coat. Written, modeled and photographed by Kay Fairey, model for Boulevard Agency, Second Look Studio and Breiz Photography (Captured Creative Concepts). I went to see a fashion show yesterday where I saw many of the new releases from Baiastice that we could look forward to as we approach the fall season. And I have to say, there were so many that I wanted! Right now, there are two, out of all the new designs, that can be purchased in Sissy’s store and this is one of them. It’s called “Tea at 5 O’Clock”. What a sweet name! It comes with a long (below knee length) skirt and a short skirt, as well as two different hats. There are also two types of prim collars which you will have to switch as one of them is a double collar and will interfere with the broad brimmed hat. The outfit has so much details in the texture. It’s white decorated with tiny pink flowers. Perfect for a gorgeous picnic on a sweet and sunny afternoon or a high tea party complete with cucumber sandwiches, scones with strawberry jam and devonshire cream. The sweet basket I have in the pictures is also a part of the set, adding so much charm. The harpsicords in the background are all antique French style harpsicords, made with such exquisite details. You can play them yourself or have them auto-play a total of 6 tunes for you from different composers. I heard that all tunes were recorded from real antique harpsicords for these SL versions so what more can you ask! I must say, I am so in love with them! And these are the two hats that you get with the set.